ABB , a leading power and automation technology group has released that it has appointed Clamp Electrical Industries, Victoria, as its national stockist of DC Motors. Motors will be arriving into Australia within the early weeks of 2007. The decision to put the motors into stock came on the back of increased orders and enquiries for DC motors. It made ABB realise that it needed to proactively capitalise on this market. ABB understood that to achieve this, it had to partner with a company like Clamp Electrical, who knew the market and could offer ABB’s customers the required level of service. Clamp Electrical, an established electric motor service company, who were also recently appointed as one of the AC motors stockists in Victoria, was selected due to its enthusiasm and persistence push for ABB to bring its range of DC motors into stock in Australia. According to Clamp Electrical, the number of DC motors it is servicing is increasing and being able to supply a new motor from stock, if required, has always been part of Clamp Electrical’s offer to its customers. 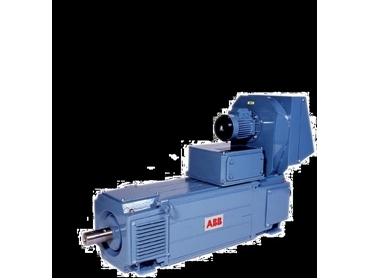 Stocking the AC motors gave it an insight into the quality of ABB’s motor range, and stocking the DC Motors was a natural progression of Clamp Electrical’s product portfolio. Quality of service is of paramount importance for Clamp Electrical’s reputation as a company. Nobody has ever questioned this point on the ABB AC Motor range, and Clamp Electrical knew the DC Motors would follow suit. In addition to the motors, ABB also has a new range of DC Drives, which will be available via Clamp Electrical. The initial range of DC motors will start with the 112-2LA, which is around 9.4kW at 400Varm and finish at the 180-4F, and take the output up to 143kW for the same supply. However, the range will be extended later in the year, with the new range of DMI’s from ABB’s Swedish factory. This will take the outputs up to the 300kW mark.